Note to self: I’d a solution where Project A referenced Project B. This had been fine and stable for some time, and then suddenly intellisence started warning that the namespace I needed from B was missing, and that I was missing a project reference. Except I wasn’t. And the solution would build without fault. Well, it turns out that Chrome had updated to Chrome 58, which removed support for the “Common Name” field. Instead, we’re supposed to use the “Subject Alternative Name” (SAN) field. That’s unfortunate; the IIS ‘Create Certificate Request‘ option we’d used resulted in a certificate with no Subject Alternative Name field. That could be a result of how it was handled – I didn’t create the certificate – but it looks like Windows MakeCert doesn’t handle Subject Alternative Names, so I wouldn’t be surprised if this is a general Windows issue. The SSL cert continued to work without a SAN just fine in IE, but Firefox and Chrome now demand it, and so were throwing SSL errors. Now, it seems that the Subject Alternative Name is what we’re actually supposed to use, and that publicly trusted certs have used both fields for years – but in our development server, using our own CA, that wasn’t the case. 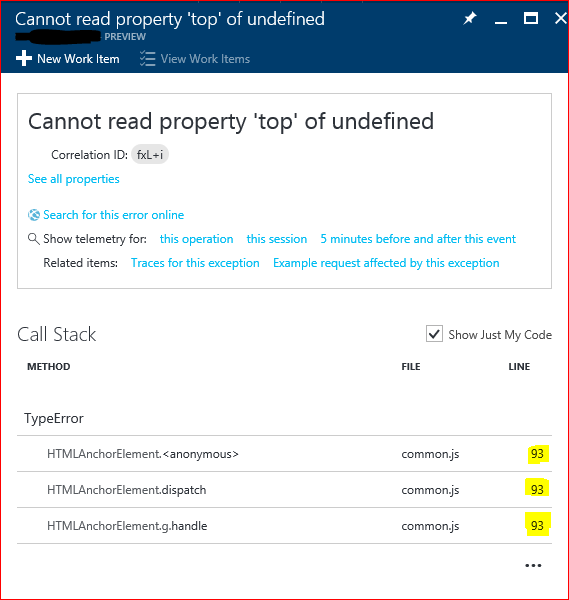 See How to Request a Certificate With a Custom Subject Alternative Name. Or Create a self-signed certificate for development. 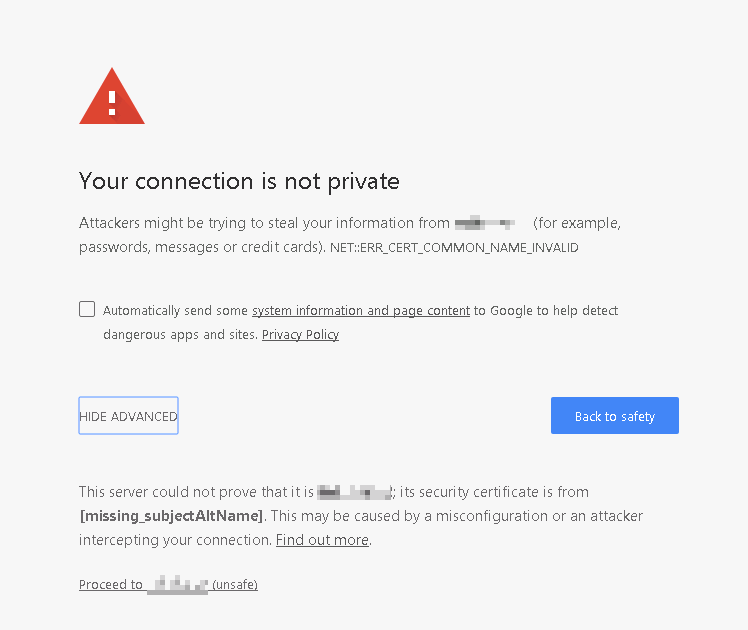 This was a problem for me yesterday, and the UAT system I was configuring wasn’t visible to sites like https://securityheaders.io/ that I’d normally use. My interesting links email is something I send out to my colleagues, well, when I’ve found stuff of interest. To be honest, I now believe we should not be building sites which aren’t served over HTTPS. It’s more secure, faster, ranked higher in Google search results, and Chrome won’t mark it as insecure. ‘Nuff said.